This detached cottage is on the outskirts of the village of Ashleworth near Gloucester and sleeps two people in one bedroom. Lawn Cottage is a detached cottage on the outskirts of the village of Ashleworth near Gloucester. The cottage sleeps two people in one bedroom which is a double room with a TV. There is also a bathroom and an open plan living area with a kitchen, dining area and sitting area. Outside there is ample off road parking, lockable bike storage and an enclosed lawned garden with a patio and furniture. 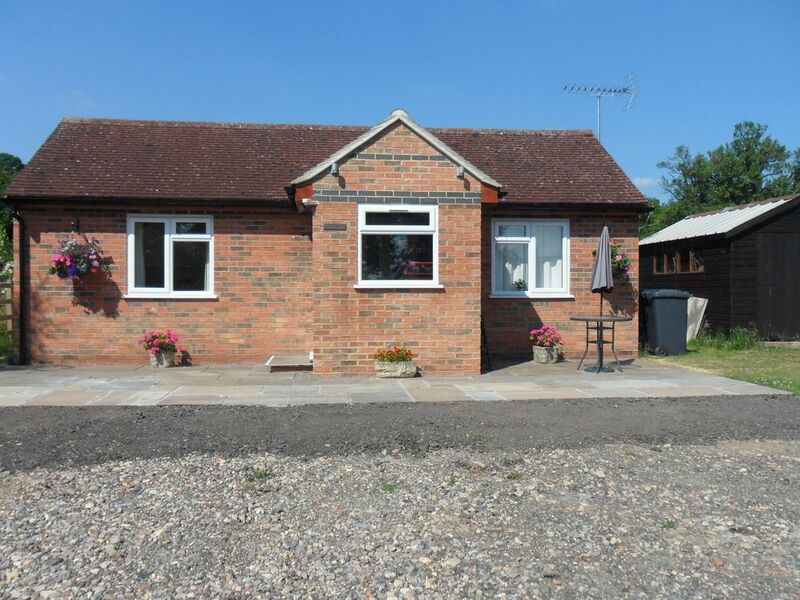 Lawn Cottage is in a fantastic location with activities to suit everybody within easy reach. Amenities: Electric central heating. Electric oven and hob, microwave, fridge, washing machine, 2 x TV with Freeview, DVD, WiFi, selection of books, games and DVDs. Fuel and power inc. in rent. Bed linen and towels inc. in rent. Ample off road parking. Lockable bike storage. Lawned garden to front with patio and furniture. Sorry, no pets and no smoking. Shop and pub 15 mins walk. River Severn 1 mile. Town: The ancient village of Ashleworth lies in beautiful Gloucestershire countryside just 6 miles from the waterfront city of Gloucester. Dating back to Roman times, Ashleworth boasts a number of historic buildings, namely a 15th century Tithe Barn owned by the National Trust, 12th century church and The Preaching Cross on the village green. The village also benefits from two excellent pubs, one of which nestles on the banks of the river and a village store and Post Office. Many lovely walks can be enjoyed from the village with the Severn Way and Three Choirs Way passing close by. Electric central heating. Electric oven and hob, microwave, fridge, washing machine, 2 x TV with Freeview, DVD, WiFi, selection of books, games and DVDs. Fuel and power inc. in rent. Bed linen and towels inc. in rent. Ample off road parking. Lockable bike storage. Lawned garden to front with patio and furniture. Sorry, no pets and no smoking. Shop and pub 15 mins walk. River Severn 1 mile. The only problem we found was the bed, which was extremely hard and uncomfortable.